Only available to MS candidates. Geographic Information Systems (GIS) integrate hardware, software, and data for capturing, managing, analyzing, and displaying virtually all forms of spatial data. GIS allows us to view, understand, explore, interpret, and visualize data in many ways that reveal relationships, patterns, and trends. GIS technology cuts across many disciplines and applications ranging from the medical profession to natural resource management. 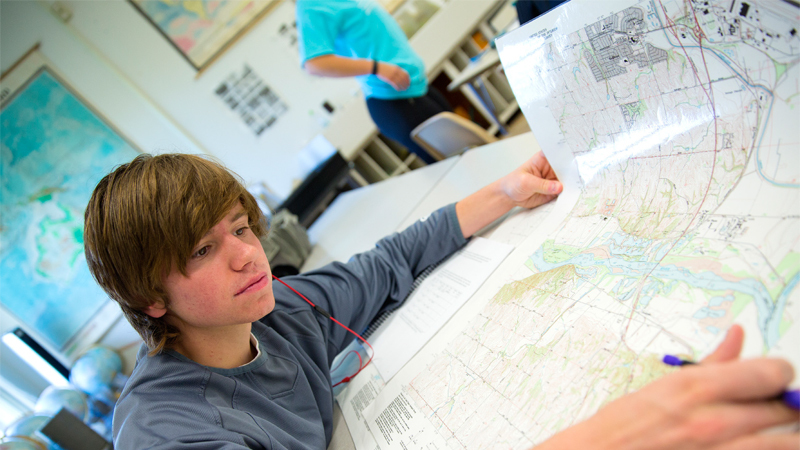 The GIS program area is also closely linked and integrated with the specialization in remote sensing. Minimum of one course listed below and approved by the student’s advisory committee. Additional supportive courses in Geographic Information Systems as well as remote sensing, image processing, and spatial statistics are also available through SNR and the departments of Civil Engineering, Community and Regional Planning, Computer Science and Engineering, and Statistics. Demand for persons having training in GIS has been increasing annually. There are numerous employment opportunities throughout the private, governmental, and academic sectors and across the globe. Natural resource managers, biologists, botanists, ecologists, environmental regulators, hydrologists, planners, foresters, and farmers rely on the analytical power of GIS to help make critical decisions to manage the earth's resources. 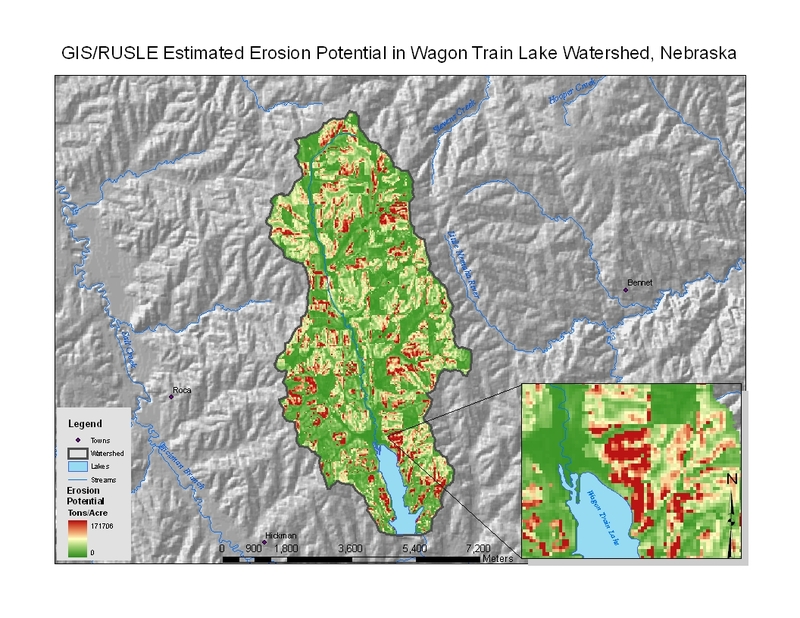 Research demonstrates a new approach to using GIS for estimating runoff in small watersheds. Part of Amy Zoller's MS thesis.